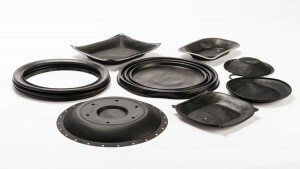 Metflex supplies more than 16 million diaphragms each year around the world. Metflex is a specialist manufacturer and supplier of bespoke diaphragms to a wide variety of sectors including the gas industry. 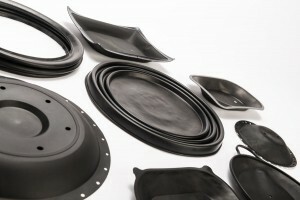 Our expertise enables us to supply homogeneous, rubber-to-metal bonded, fabric reinforced and DFT (Dispersed Fibre Technology) diaphragms using injection, compression, transfer, flashless and fabricated techniques. 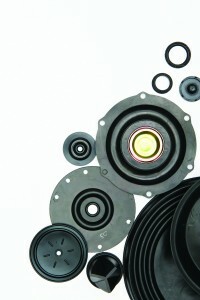 Diaphragms are a highly specialised product. Our experts are able to advise you on design and choice of materials to meet increasing requirements and our engineers will ensure the appropriate production process to provide you with a quality product that meets your needs, ensuring long life and stability. Not found the application you’re looking for or have a question on any of the above? Contact us for further information and to discuss your particular needs. We possess almost a century of manufacturing experience in the gas meter diaphragm industry having started life producing leather diaphragms and seals before switching to modern, rubber polymer based products in the 1960s. Diaphragm gas meters are the most common type of gas meter, regularly seen in residential and small industrial properties. We offer DFT (Dispersed Fibre Technology) diaphragms as well as fabric reinforced rubber diaphragms and can supply a wide range of approved materials including those with EN549 & EN13787 approvals. Please note that we do not stock pre-made products and cannot offer one-off purchases of existing gas meter or regulator diaphragms. Not found what you’re looking for or need further information? Contact us for further information and to discuss your particular needs. Metflex also supplies rubber mouldings into the regulator market. Pressure regulators control the flow of gas at certain pressures, thus protecting downstream equipment from a higher pressured gas than is recommended. Gas pressure regulators regulate pressure rather than flow and therefore our diaphragms are commonly found in the loading and measuring elements of gas regulators. Metflex gas regulator diaphragms can be homogeneous (no reinforcement), fabric reinforced, incorporate metal inserts or even made using our range Dispersed Fibre Technology rubbers. Not found the application you’re looking for or want to know more about any of the above? Contact us for further information and to discuss your particular needs. Metflex designs and compounds its own elastomer materials in our fully equipped development laboratory. 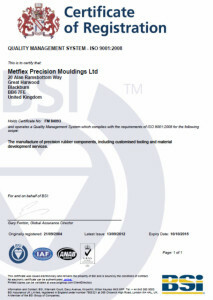 All materials compounded in our factory mill room are quality checked and approved prior to the manufacturing process. Compression, transfer and injection moulding, as well as the preparation of metals and fabrics, are just some of our manufacturing capabilities. For assistance in choosing the correct elastomer for your application, speak to our specialists today. We can provide expert technical advice and detailed data sheets to help bring your project to life. Working with you to develop components that are perfectly suited, we will consider everything from shore hardness and tensile strength to operating temperatures and service life. Not found the specific service you’re looking for or want to know more about any of the above? Contact us for further information and to discuss your particular needs. We pride ourselves on our mixing and moulding technology, ensuring your rubber products are of uniform quality and free from contamination. Our rubber compounds are formulated to ensure we can meet the exact requirements of your application. 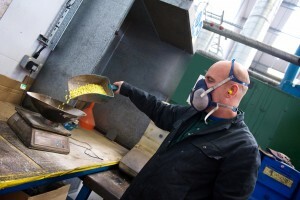 Whether you require natural rubber, Nitrile, Silicone or a specific formulae, please do not hesitate to contact us for a no obligation discussion and quotation. Call 01254 884171 or Email Us.